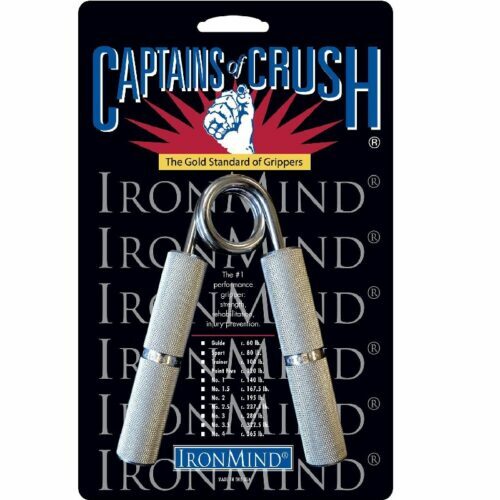 Captains of Crush Gripper No. 1 - 140 lbs ( 63.5kg ) No. 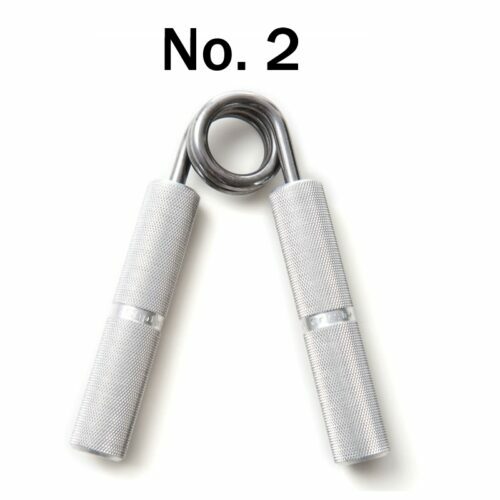 1: If you’ve already been working out with grippers, start here; most people who lift weights can’t close it at first. 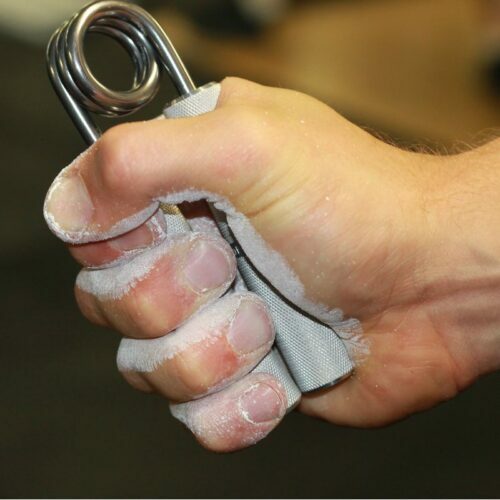 You’ll want to master this gripper if your job or favorite sport or hobby involves grip strength. No. 1.5 - 167.5 lbs ( 76kg ) CoC No. 1.5: The bridge between a CoC No. 1 and a CoC No. 2. If you are still gaining strength rapidly on the No. 1, move directly to the No. 2. If your gains are slowing down and you are clawing for progress, go to the No. 1.5. 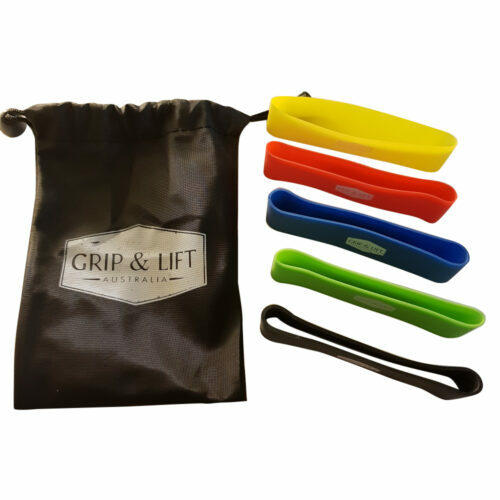 Extensor Hand Bands by Grip & Lift Australia Set comes with 5 different sized Extensor Hand Bands ranging in difficulty and a nice Grip & Lift Carry Bag. 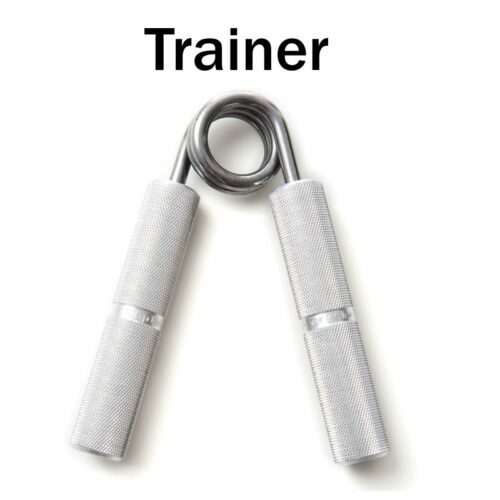 Train your extensors in your arm, helps to prevent injuries, and helps to eliminate some nagging elbow pains. Made from natural latex resistance bands, they are durable and non-toxic. 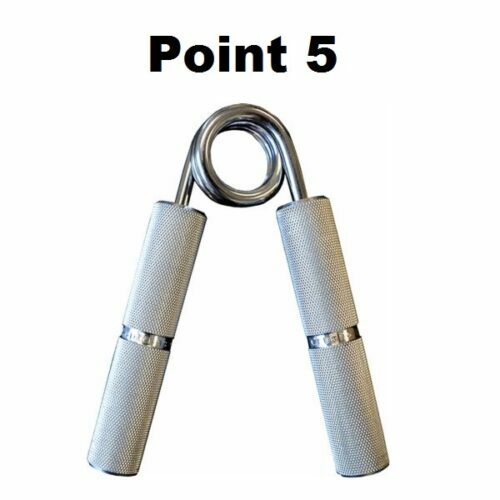 Captains of Crush Point Five Gripper: Transition to the powerhouse CoCs, the Point Five is perfectly positioned to give you the boost you need to conquer the No. 1. 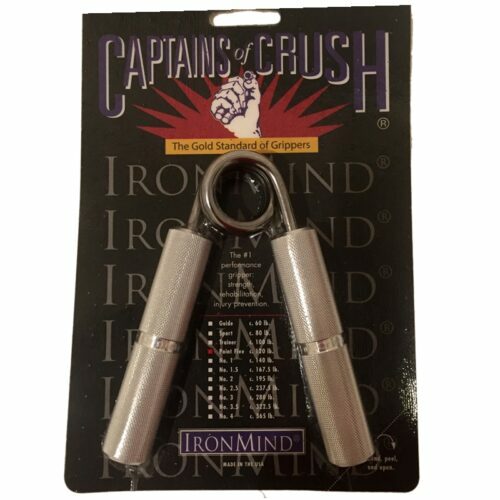 Known around the world as the gold standard for building and testing hand strength, Captains of Crush Grippers are the single most important grip strength tool you can choose--for the fastest route to the strongest grip. Fat Gripz are the new worldwide training phenomenon that help add muscle and strength (especially big arms) to your body in record time. 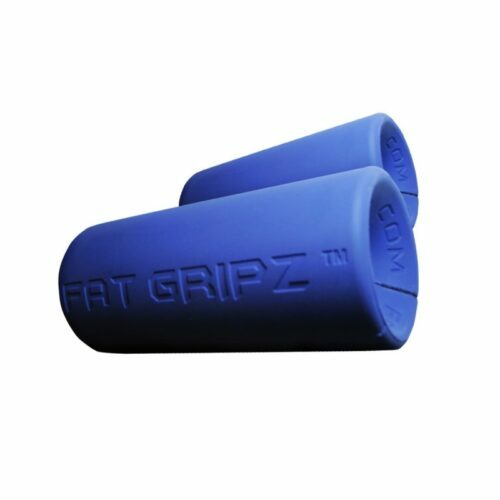 They have been described as "the biggest thing to happen to weight training in the last decade" A PRODUCT AUTHENTICITY GUARANTEE (EVERY PAIR OF FAT GRIPZ HAS A HOLOGRAM TO SHOW THAT IT IS GENUINE) Using a thicker diameter bar automatically targets your body's weak links, which helps unlock massive increases in strength of your whole body. 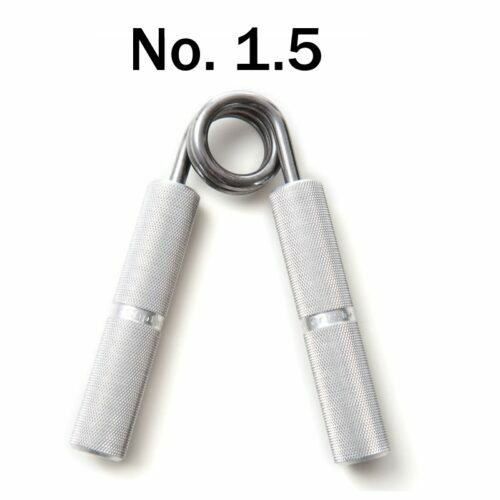 Fits on dumbells, barbells & pull up bars easily within 10 seconds - then doesn't budge until you want to take them off. 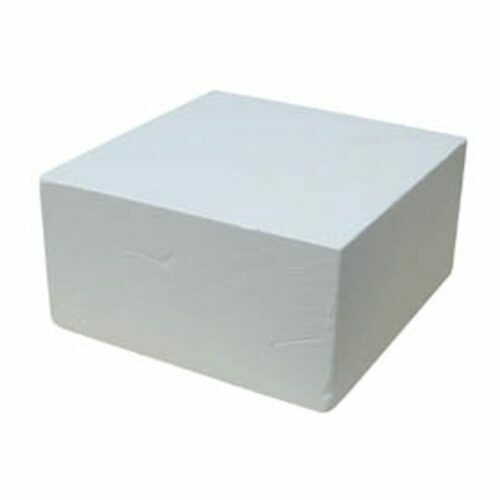 Made from a military grade high-density compound that grips the bar like a clamp and doesn't compress or wear out - even after years of punishment. 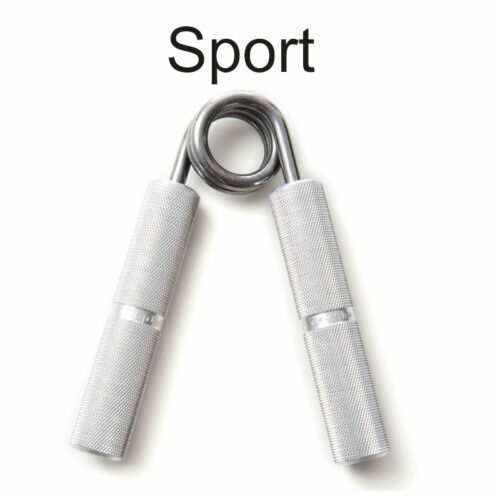 Grip & Lift Loading Pin is a must have in Grip Training. 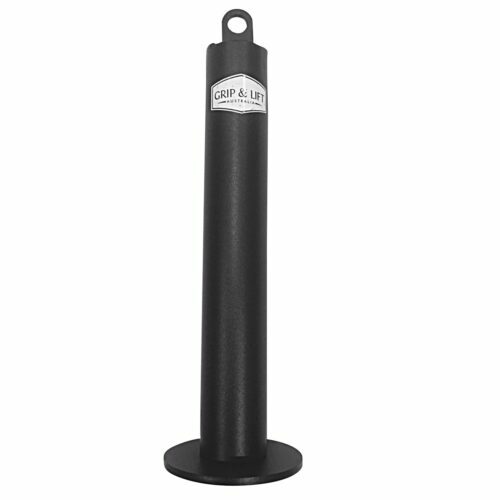 The Loading Pin can be loaded with Olympic sized weight plates and is compatible with many grip training tools. Strong-Enough IronMind Lifting Straps Official Lifting Straps World's Strongest Man Since 2010 If you're not using IronMind lifting straps, you're probably not lifting as much as you could be. Chosen by the world's strongest men (and women) in 5 styles: the question is not whether you are using IronMind lifting straps . . . the question is, which IronMind lifting straps are you using? 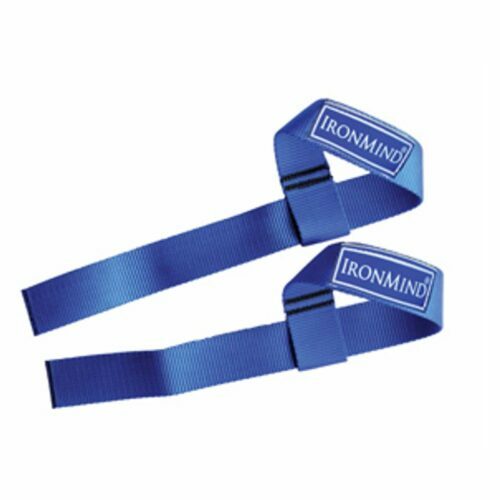 Strong-Enough IronMind Lifting Straps : Top pro strongman choice; best general purpose. 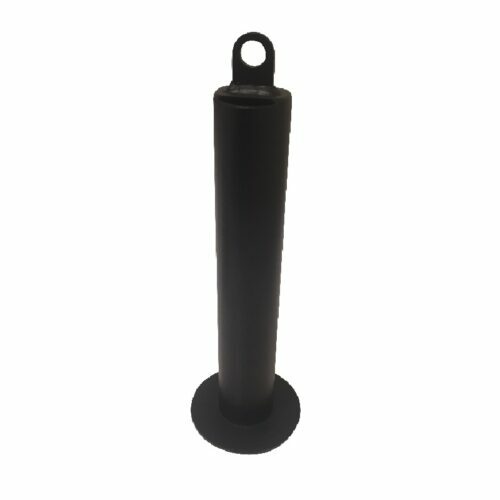 21-1/4" long, loop at one end; 1-1/2" wide.